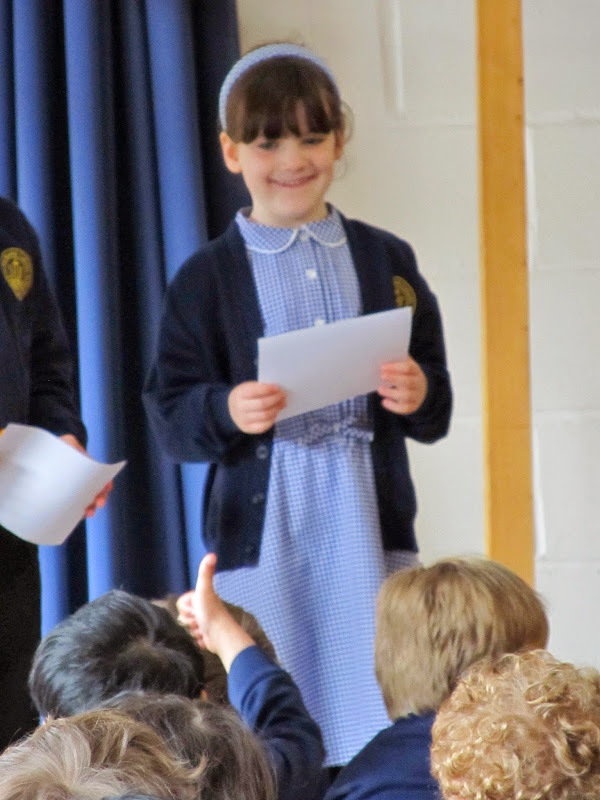 That's Amelie receiving her third Silver Award at this morning's school assembly. The thumb belongs to the boy who asked her to dance four weeks ago. You can't see his other hand in the photo, but he's carrying a torch for our daughter.